2011 is upon us. Another year of Oscar hopefuls, followed by random filler and then a summer of bloated blockbusters which this year have caught an almost unprecedented case of sequelitis and look about as exciting as warmed over gruel in a Ryvita sandwich. Still, my almost absurd levels of optimism lead me to believe that we, together, can find at least half a dozen movies a month worth a look. In theory January, falling as it does slap bang in the middle of Oscar season, should be like shooting giant snappy fish in a teeny tiny barrel, but there’s a difference between interesting trailers and interesting movies. My first duty is to report the sad omission from this list of the bright British blockbuster The King’s Speech. I did contemplate getting this list out before I saw the film yesterday, but upon seeing it my suspicions were proven entirely correct; the trailer gives away almost the entire movie, and if you can’t guess the parts it doesn’t then you don’t deserve to be allowed out of the house, for reasons of your own safety. And to be crystal clear, when I say gives away the entire movie, the trailer is basically a synopsis of the film made by stringing most of the best bits that aren’t heavy swearing together, in order, until the final scene of the trailer which is about five minutes before the credits roll. Sigh. Anyway, let’s stay optimistic, there’s plenty enough here to be going on with to look forward to this month. Like this lot. In complete contrast to The King’s Speech trailer, first up is a lesson in how it should be done. A single song, with a few clips to indicate the general mood, lifted directly from the film, and the usual title cards to say how great everyone is and why we should love them, but nothing too massive in terms of spoilers. (I’m assuming. Unless this film is eight minutes long.) Ryan Gosling is in the dictionary under “massively-underrated”, and the controversy over the rating in the US has just peaked my interest further. Then there’s the money shot. The sure fire way to get anyone to remember your film, of course, is to have a single shot that audiences will remember. If you’re Independence Day, then you can throw in a shot of aliens exploding the White House, but if you’re a documentary about corporate evil in America and around the world, then it’s a little trickier. Unless said corporate evil has made your drinking water special. Yikes. Another approach of course, is to fill your trailer with lots of quickly intercut and entirely unrelated clips of the film, keeping up the pacing to a point where people won’t remember what happened in the trailer anyway, but they will hopefully be more encouraged to see the film. Thankfully Tangled seems to be swimming in good material if the trailer is anything to judge by, which of course, being a trailer it probably isn’t. But anyway, it will be interesting to see how a Disney fairytale does in this post-Shrek era we are now living in. And if all else fails, you can play trailer drinking games. Every time Javier Bardem looks wistfully into the distance, take a sip. Every time he looks wistfully into camera, take another sip. Every time the trailer is incredibly literal (for example, the narrator says “cloud” and a cloud of smoke appears on screen at the same time), take two sips. 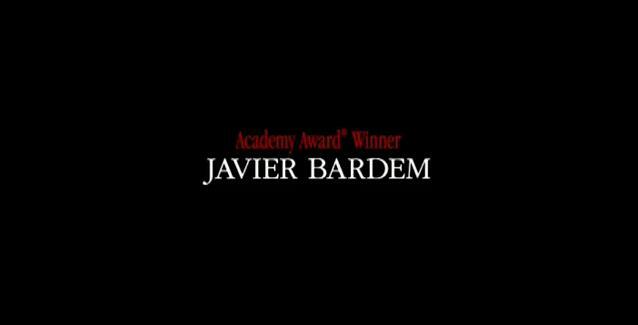 And given that Javier Bardem has an Oscar to his name, if you can predict the time into the trailer (running time 2:17) at which the card below will appear on screen within ten seconds, then finish your drink. If you’re on vodka, this trailer will have you on the floor in two minutes flat. Good luck. This entry was posted in Reviews and tagged Biutiful, Black Swan, Blue Valentine, Gasland, Ride Rise Roar, Tangled, The King's Speech.